V-Spot Cafe is my FAVORITE VEGAN SPOT in Brooklyn! I really have been trying to be good lately. I think celebrating my birthday for over a month set me back a little bit. When you find yourself drifting off the beaten path, like I do, it’s best to go back to basics. For me, this means writing food down, which I have been doing now for a week. Just a few days ago, I decided to take that a step further and enter it online. I recall back to when I really began to lose weight 2 years ago. I was slowly changing my lifestyle choices- one step at a time. After 5 months of change, I moved from writing food down to tracking it online. What a difference then.. and what a difference now in only a few days this time. The point of my story... I was nervous to go to the V-Spot because I tend to over-order and then on top of that, I find it hard to escape without ordering and fully indulging in the infamous PEANUT BUTTER BOMB! Since I was doing well this week, I figured I would take the risk. I have to say I succeeded! 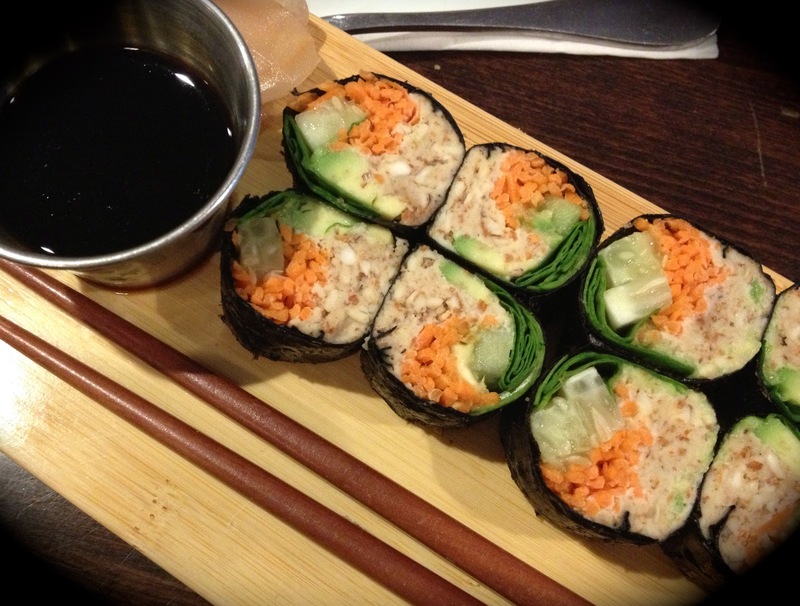 I ordered my two favorite appetizers with a friend and then I ordered the RAW NORI ROLLS– one of the healthiest items on the menu! 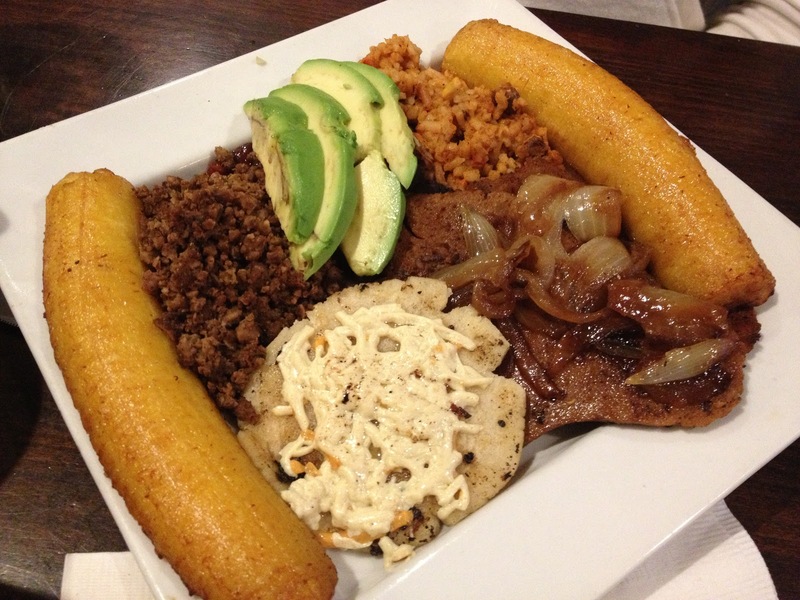 On the flip side, I did talk my friend into getting the Colombian Bandeja Paisa. Honestly, I have ordered this a lot and just as the original dish itself, it’s too much food! My friend had it and it was super delicious today- the photo says it all really! Yes.. I had one bite! Moving on to desserts and peanut butter bombs- I did say NO! However, I was torn between the pumpkin cheesecake and the chocolate chip cookie. 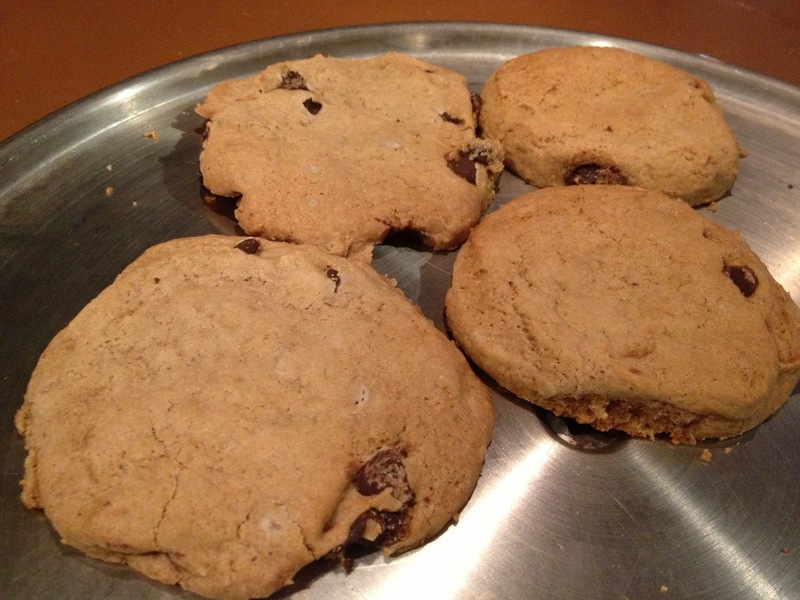 The waiter said that the cookies were very special- that was enough for me! I had ONE and savored every bite. I saved 200 calories not ordering the cheesecake and an additional 500 calories not ordering the peanut butter bomb. BABY STEPS!